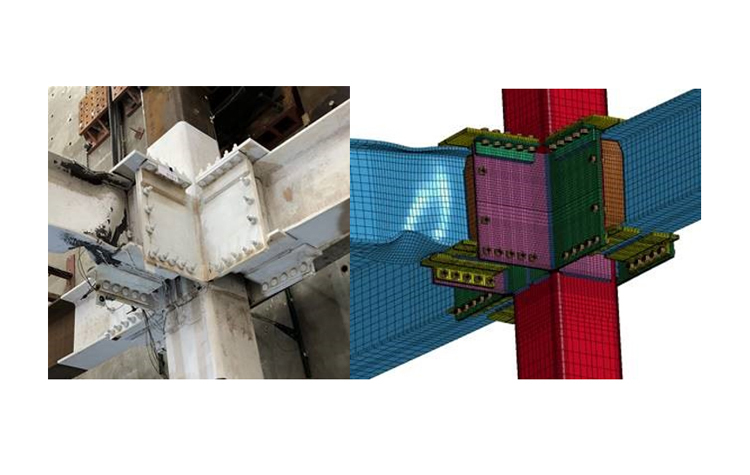 Mission Viejo, Calif. — SidePlate Systems, an expert in steel building design optimization, announced what it called a “huge step forward in steel moment frame connection testing” by successfully completing four full-scale tests on one HSS20x20x7/8 column and one SidePlate Bi-Axial connection. Over the course of the last two months, SidePlate has had a 20-inch-square HSS column — available through Atlas Tube — set up at the University of California at San Diego test lab with a SidePlate Field Bolted Bi-Axial connection on it. The tests were done to validate extensive finite element analysis done in the SidePlate R&D Department that suggested a new connection configuration using HSS columns would allow SidePlate designs to offer even greater flexibility and versatility for open-space areas along with an increased resiliency effort. While high-seismic testing may not be a factor in every area of the country, SidePlate said it conducts validation at the highest levels, ensuring the safest, strongest, and most resilient connection designs in the industry.